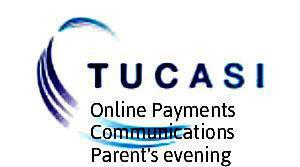 Online payments allows parents more choice in how they pay for school items. Cash and cheque are still accommodated in the normal way but parents have the option to pay online by debit or credit card. Parents simply log-on via the web link above and enter their security details. They can then make payments against their balance for school dinners (balance displayed will include all meals added in advance as well as historical meals not paid for), view payment history, view meal calendar (to see past and future meal choices) and pay for other school items, trips or events. The Parent's Evening module allows parents to see up-to-date availability of parents' evening slots and make or amend a booking. For help on how to register your child’s account, update your billing address details, change login and contact details, create a second login and what to do if you forget your password, click on the link above, and on the login page click 'Quick reference guide - Account activation process'. How to add items to your basket, view your child’s school dinner history and how to checkout. Further help is available from the 'Help' menu once you have logged in to your online account.